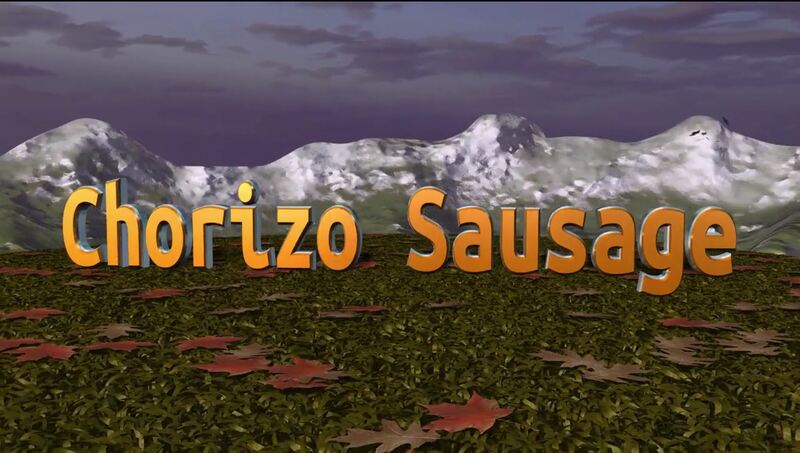 How to make a delicious Mexican style chorizo sausage. This recipe is great in chorizo and egg breakfast tacos (shown in video below), breakfast burritos, and with fried breakfast potatoes. See our other Mexican food recipe videos. Recipe is below. In a large bowl, thoroughly mix pork, garlic, vinegar, chili powder, oregano, paprika, salt, and cumin with your clean hands. Cover and chill for 30 minutes before using. Or put into a plastic bag and chill. You can crumble and fry the meat when done marinating. Or, make into patties. Pour 1 tablespoon oil into a 10 to 12-inch frying pan over medium heat. stir often until meat is well browned and potatoes are tender when pierced, about 10 minutes. Pour in 2 large eggs, beaten to blend, and stir until eggs are firm, 1 to 2 minutes. Remove pan from heat and stir in 1 cup shredded cheese. Serve with warm flour or corn tortillas.